The carrots were a bust, the eggplants are still TBD. The zucchinis and summer squash showed up, preferring the climate of the weedy way back. We harvested one (that’s right one) juicy red pepper. But, there was a crop that far exceeded expectation. The yellow tomato. 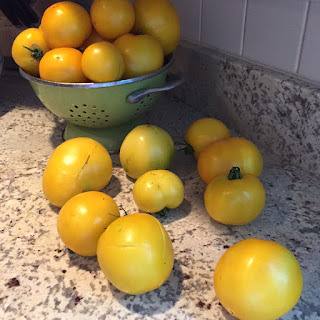 It was by chance really, that we planted golden tomatoes at all. Traveling back roads on the way to practice last spring, Will and I were, for once, early. So, we killed a little time by checking out a new nursery. The heirloom tomato section caught our eye. Three plants, that’s all we bought. But, those three plants flourished and produced early, far ahead of their crimson ancestors. They multiplied with ease and continue on today. Even the predators seemed to know how special these golden gems were. The low hanging beefsteak tomatoes fell prey to a roving possum who dined early morning (according to my neighbor). A skunk set up camp many summer evenings (this we learned from our dog Daisy). But both left the yellow tomatoes alone. Turns out Golden Sauce is delicious. Who knew? 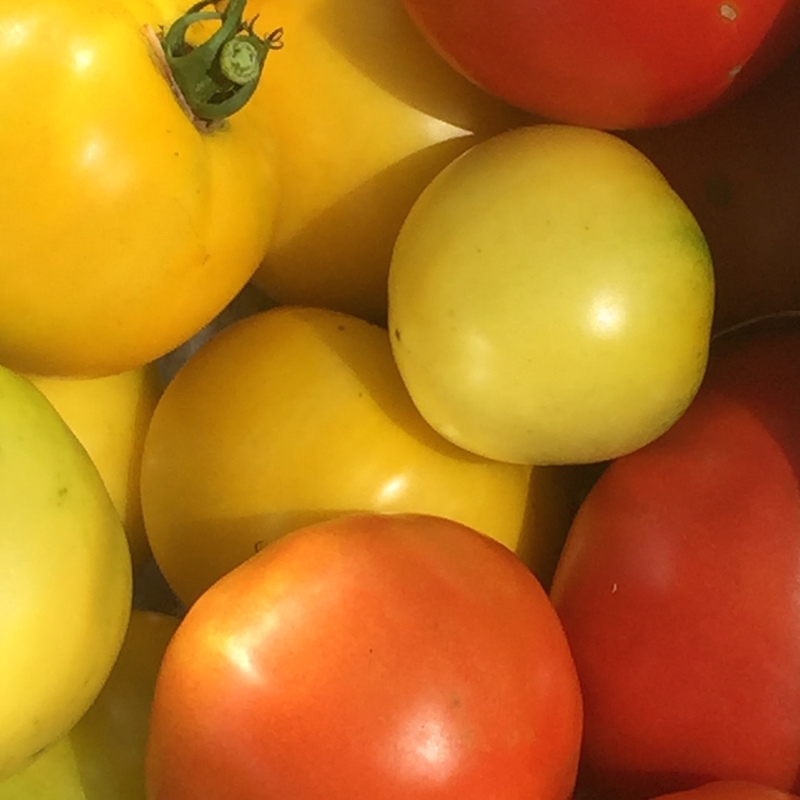 And, here’s the kicker, the process that I’ve labored over perfecting all these years, is actually easier with yellow tomatoes because they have less seeds, are sweeter and have a higher concentration of water! I made three separate batches, before settling on my favorite recipe: 6 yellow tomatoes, 2 red tomatoes, onion, basil, teaspoon of sugar, salt, pepper, and a half a can of tomato paste. Simmer then mash and Voila! (mostly) golden sauce for four. The whole cooking process took less than an hour. Of course, next year if I set out to repeat my yellow tomato fortune, it will surely be a bust. Each year is different. The sun and rain in precarious combination set the pace. That’s just how it goes. In the garden. But, for now, there's still a little time left. Sure the mums are long out and the kids back to school, but even mother nature is hanging on. Giving thanks. For the year of the golden tomato.